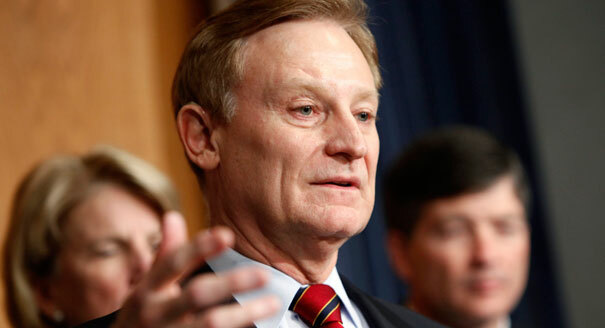 See the gallery for quotes by Spencer Bachus. You can to use those 7 images of quotes as a desktop wallpapers. 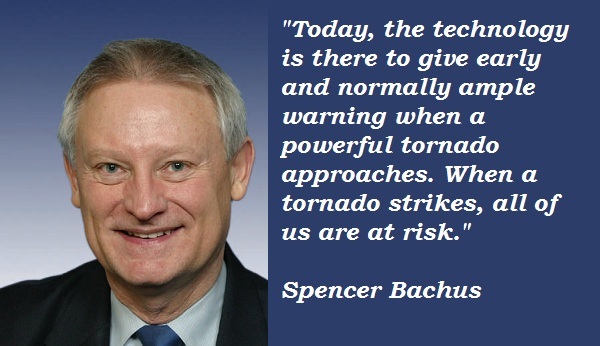 Today, the technology is there to give early and normally ample warning when a powerful tornado approaches. When a tornado strikes, all of us are at risk. Shockingly, a University of Pennsylvania study says the number of young people addicted to gambling - largely due to increased exposure to the Internet and Internet gambling - grew by an alarming 20 percent between 2004 and 2005 alone. 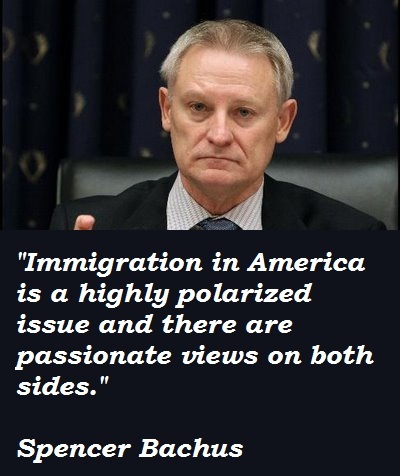 Immigration in America is a highly polarized issue and there are passionate views on both sides. 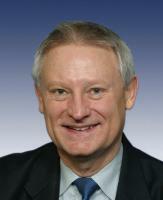 It is my belief CAFTA will be beneficial for Alabama and the United States as a whole. Most illegals are without health insurance, and when these workers need emergency healthcare, the American taxpayer gets stuck with the bill. The elimination of the barbaric terrorist Abu Musab al-Zarqawi is good news for the world. 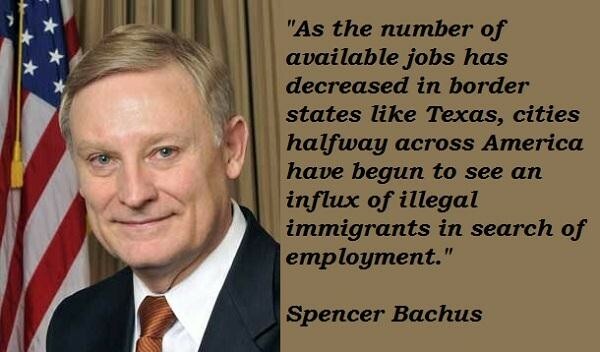 As the number of available jobs has decreased in border states like Texas, cities halfway across America have begun to see an influx of illegal immigrants in search of employment. By encouraging its citizens to violate our border, Mexico is pushing a tremendous welfare burden off of its shoulders and onto ours, while also benefiting from the significant sums of U.S. currency that these workers will eventually send back home to their families. By interviewing at least one veteran, you can preserve memories that otherwise might be lost. My uncle was a downed fighter pilot and P.O.W. in World War II, and I am looking forward to recording his story for inclusion in the project. For generations, America has served as a beacon of hope and freedom for those outside her borders, and as a land of limitless opportunity for those risking everything to seek a better life. Their talents and contributions have continued to enrich our country. Harvard Medical School, the University of South Florida and the American Psychiatric Association have all conducted studies showing that the earlier one begins gambling, the more likely it is he or she will become an addicted, problem gambler. 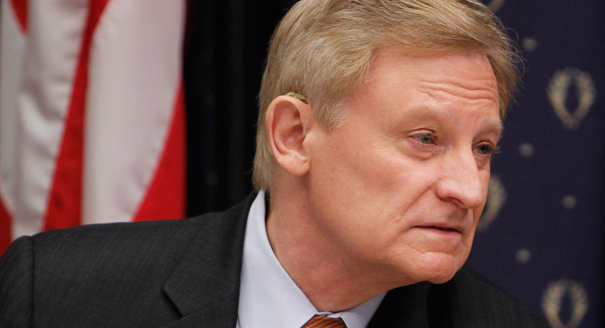 However, in recent years our nation has seen a sizable influx of illegal immigration that at best highlights some alarming inadequacies and at worst indicates a broken system. Illegal immigrants are beginning to comprise a black market class of workers in our society, jeopardizing the financial health of companies which play by the rules, while themselves vulnerable to the exploitation by those willing to take advantage of their illegal status. In 2003, I introduced and passed The Tornado Shelters Act, which allows local governments to use Community Development Block Grant funds to construct storm shelters in manufactured housing communities. In fact, a University of Connecticut study showed that as many as three in four pre-teens and teens who are exposed to Internet gambling become addicted. Ours is an open and accepting society, and has historically provided an avenue for lawful immigration to all those willing to accept the responsibilities of citizenship. Pre-teens, teens and college students have unlimited access to the Internet - 24 hours a day, seven days a week. Because of the repeated exposure they have to illegal Internet gambling sites, they fall victim by the thousands. The completion of the Iraqi cabinet with the appointment of three critical ministers is also confirmation of continued movement toward a just and democratic society in Iraq. The rapid growth in many of our suburbs has spawned a booming construction industry eager to hire low wage immigrants who gladly fill these jobs, many of them happy to be paid in cash, free of federal and state taxes. Unlicensed illegal immigrants drive on our roads and interstates without insurance, and there is little that our law enforcement officials can do to stop them.